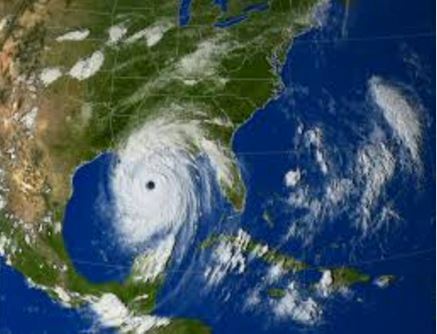 Statistical analysis of the record revealed “the hurricane number is actually decreasing in time,” which finding is quite stunning considering that it is quite possible fewer hurricanes were recorded at the beginning of their record when data acquisition was considerably worse than towards the end of the record. Nevertheless, as the Mexican research team indicates, “when analyzing the entire time series built for this study, i.e., from 1749 to 2012, the linear trend in the number of hurricanes is decreasing” (see figure 1 here). As for the potential cause behind the downward trend, Rojo-Garibaldi et al. examined the possibility of a solar influence, performing a series of additional statistical analyses (spectral, wavelet and coherence wavelet transform) on the hurricane database, as well as a sunspot database obtained from the Solar Influences Data Analysis Center of the Solar Physics Department of the Royal Observatory of Belgium. Paper: Rojo-Garibaldi, B., Salas-de-León, D.A., Sánchez, N.L. and Monreal-Gómez, M.A. 2016. Hurricanes in the Gulf of Mexico and the Caribbean Sea and their relationship with sunspots. Journal of Atmospheric and Solar-Terrestrial Physics 148: 48-52. A common problem is misinterpretation. Specifically interpretations naive about model assumptions remain almost ubiquitous. It’s common to assume — naively without even doing diagnostics — a time-only model when interpreting spatiotemporal summaries. Remember that these are stats, not data. The aggregations are across time and space and with fixed geography samples are spatially biased. After years of being polite it’s time to start just calling this out point-blank: This is stupid. They make the common mistake. They have not yet learned that solar cycle deceleration is a proxy for sun-driven terrestrial spatial structure evolution. We will wait more years for correction. We may be very old when the time comes, if we somehow manage to live that long. There has to be a better way friends…. The oldschool wavelet methods they’re using are the traditional brand that lack sufficient generalization. These oldschool wavelet methods infinitely reduce vision by locking grain to extent. This is a ridiculous model assumption. Unlocking grain from extent infinitely generalizes wavelet methods. One can also arrive at infinitely generalized wavelet methods by starting from traditional oldschool Fourier methods. Even the very best of the best of the oldschool Fourier methods are just a special case (where the extent is locked to a single setting) of infinitely generalized wavelet methods. The root problem: People are naive. They don’t stop to think about silly model assumptions. They don’t do diagnostics or they hide diagnostic sparks from comically naive sponsors. Minds are totally closed to being corrected on this …so we will have to keep ourselves occupied for perhaps decades as we wait for mainstream correction. It’s so silly that delays like this are just allowed to drag on endlessly. There has to be a more efficient avenue friends…. Politics is such a joke. Maybe the solution is to fire politics. Where they go on about “nonlinear” they’re not taking care to stratify their conjecture spatially. In a time-only interpretive frame spatial integrals and sampling biases are being misinterpreted as temporal nonlinearities. This is a naive oldschool interpretive mindset long overdue for correction. True nonlinearities related to wind, ice, etc. surely exist, but this doesn’t justify carelessly conflated conjecture. Whether “this decline is related to an increase in sunspot activity” or not, it appears that recent sunspot decline has occurred at the same time as hurricane frequency and/or intensity decline i.e. in the last 8-10 years or so? pg – they are only talking about Atlantic hurricanes in the study, but it’s an interesting idea. So record and increasing “CO2” emissions have led to a record lull in Atlantic landfall hurricanes, CAT3+, over the past decade. And yet, the “Sun” is still largely a taboo topic by climate alarmists concerning its effect on climate. Another study showing “CO2” is not the climate control knob, rather the “Sun”. But don’t tell this to climate alarmists, or you’ll be denounced a “DENIER”……to shut you up of course. @oldbrew; sometimes a clue is all we have to go on, at least at the start. A solar hurricane has many of the same features of the Terrestrial one, just MUCH higher energy levels. Atmospheres are atmospheres, they must follow the same physical laws regardless of the body they are attached to. The electrical displays above them are much the same just much more violent above the Solar ones. I have a habit of looking at the X ray flux charts and K index charts on spaceweather.com every day, sometimes more than once a day. Shortly before that huge Katrina hurricane hit New Orleans, I had noticed the highest X ray flux level I had never seen. IIRC, it was a jaw-dropping level 10-something. Also at that time, I was reading the book “Isaac’s Storm”, the story of how Galveston, Texas, was practically wiped off the map by a huge hurricane. The barometer readings and wind speeds of Katrina were very similar to Isaac’s Storm. So I totally wasn’t surprised when it turned out so bad. To this day, whenever there is a sudden increase in a hurricane’s strength, I notice that it is preceded by an increase in the energy from the sun. Power Grab – interesting stuff. The effects of solar variability need to be better understood IMO. Is that the ‘Al Gore method’ 😉 ? There was only one named tropical storm anywhere in the world throughout January, 2017, the lowest number in nearly six decades. you can’t fool me! I know it’s the exhaust from my F-150 pickup and my lawnmower. I read it on the interwebs so it MUST be true. IS ANYTHING WRONG WITH NATURAL, NON-MAN-MADE CLIMATE CHANGE? Solar wind variability driving the AMO, with increased cyclones during weaker solar wind periods and a warm AMO.